Are you planning a big corporate function and are unsure what to do for entertainment? 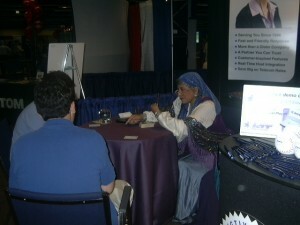 Adding Psychic Entertainment into your party mix will be a hit that will be talked about for years to come. 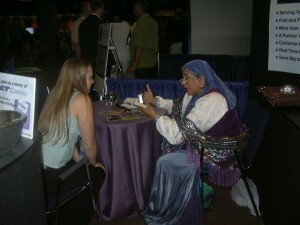 Barbara G Meyer is one of Chicago’s premier psychic readers and has the experience to back it up. Why have me at your next corporate function? • A great ice breaker—it will get people talking, comparing their readings, and in a social mood. Do you want to stand out from the crowd at your next trade show? Do you want something fresh and original to make people flock to YOUR booth? • While they wait for their readings you can talk up your product to a “captive” audience.